Gallien Krueger amps might not be the first name you think of when you think bass but you might be surprised how many of your favourite bands have a GK locking down the low end of their sound. Flea uses them, Duff McKagen is on their artist list and Jazz legend Dave Holland has one to amplify his double bass. A quick look at the sheer variety of artists will give you a clue as to how versatile these amps are. With its switch mode power supply and Aluminum chassis, the MB Fusion 500 weighs in at only 4.5 lbs (2kg). This is one of the most portable bass heads around. 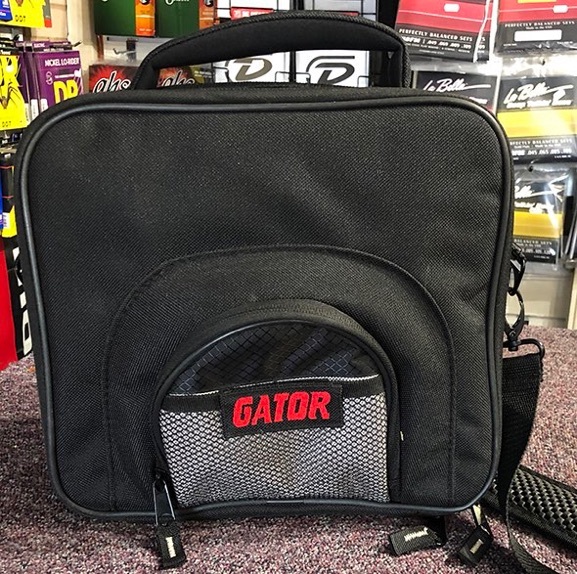 With such small dimensions, (10.75 x 10 x 1.75") it easily drops into your gig bag for effortless transport to travel dates, rehearsals and enough power for even large venues. Three 12AX7 tubes deliver the perfect blend of classic tube response and the timeless “Variable Q” equalizer design from the 800RB. Foot switchable channel switching for on the fly volume boost or additional grind. The signal path for gain, EQ, contour and the DI are 100% tube driven, achieving clasic tube performance with 300V plates. Temperature controlled fans keep the amplifier cool delivering only the required amount of air, reducing noise and dust intake. Its even got internal sensing circuitry that will indicate problems on the power switch ring. Blue is good!